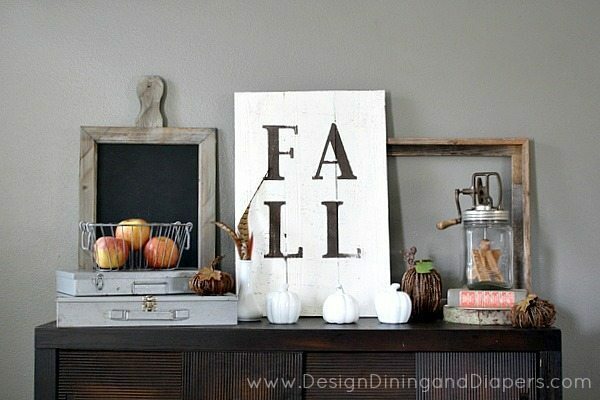 Remember my Rustic Fall Vignette from this year? 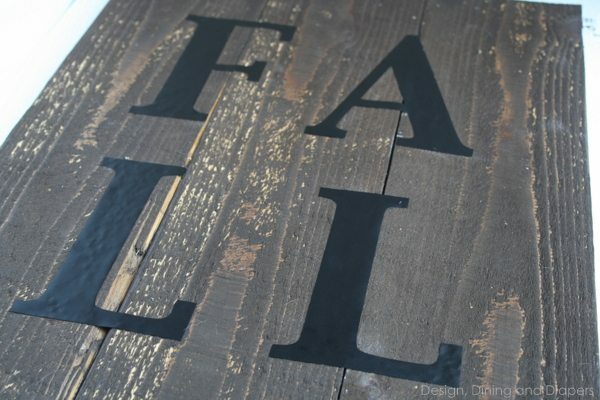 Well, today I’m sharing the tutorial on how I made the FALL sign made from a wood plank. I put together the vignette by borrowing things from around the house. After having it almost complete I felt that it was lacking a statement piece so I went into my garage to see what I had to work with. 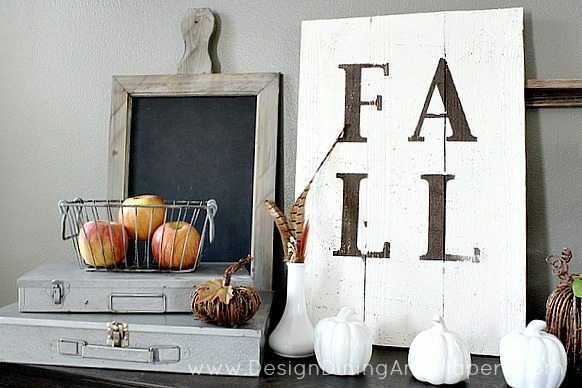 After finding a piece of stained wood, I used it to put together this Rustic Fall Sign. 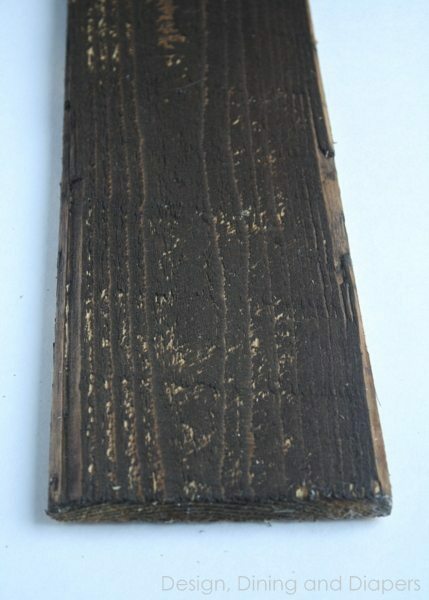 The piece of wood was already stained in a Kona stain by Rusteolum. It was 6 ft long so I cut it evenly in two places so each plank was 2 ft. 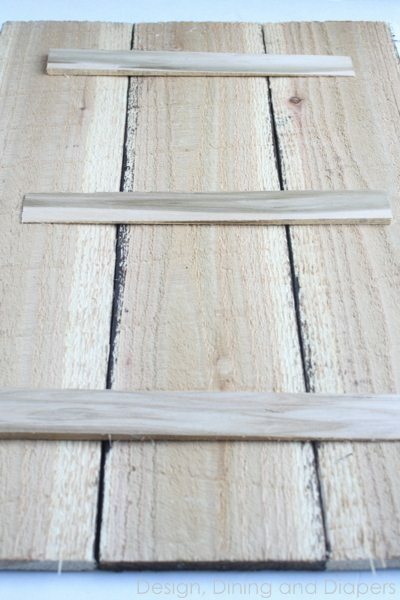 I lined up the boards and then screwed three wood shims onto the backs to secure the boards together. 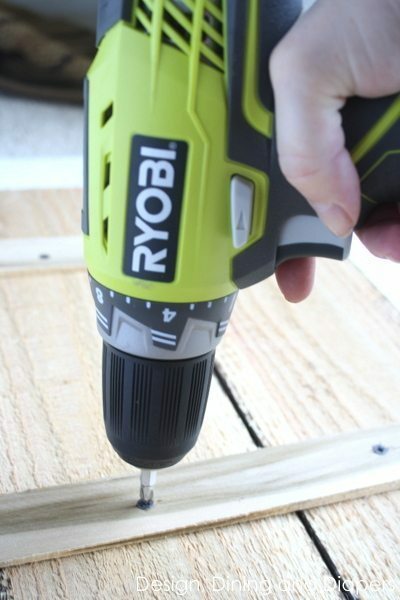 I used wood shims only because that is what I had on hand but you could use small pieces of wood. Using my Silhouette cutting machine, I cut out these vinyl letters to use as stencils. I used Bakersville font. 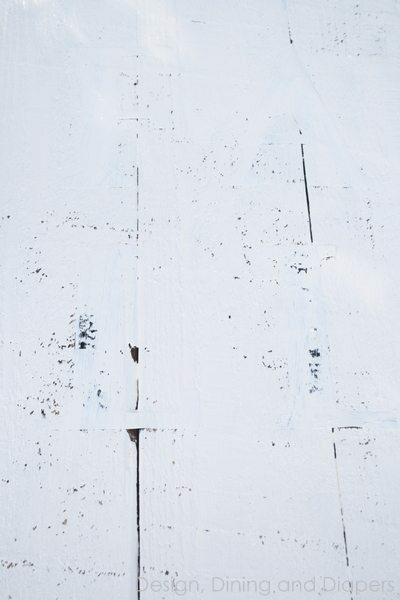 Using left over white paint, I painted over the entire surface using two coats. After it was dry I peeled off the vinyl letters and the sign was complete! I think it was the perfect touch and not too bad for free! 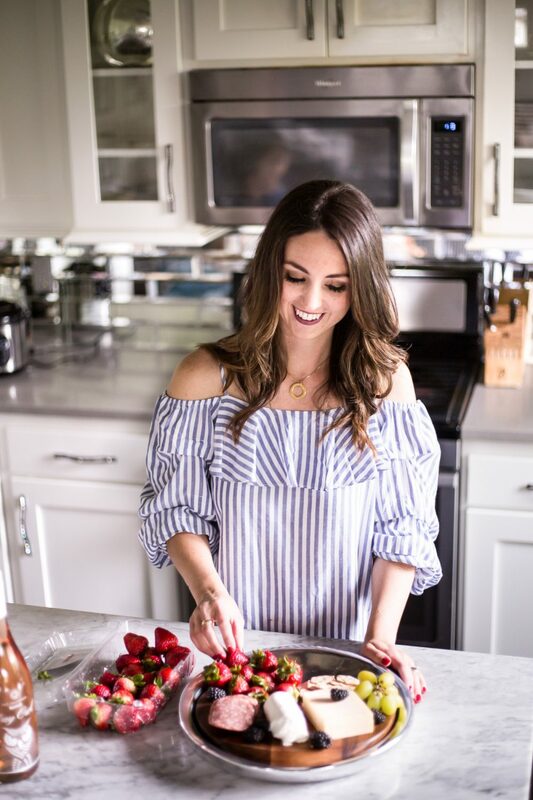 I am your newest follower and am loving your decor and ideas! So cute!! This is so festive and perfect for the season :) thanks for sharing! What a beautiful sign! Love the rustic look and the simplicity of it, it’s absolutely gorgeous!!!! Hi Jessica! I’m so sorry I don’t think I got your other message. But unfortunately I don’t do any custom orders myself. 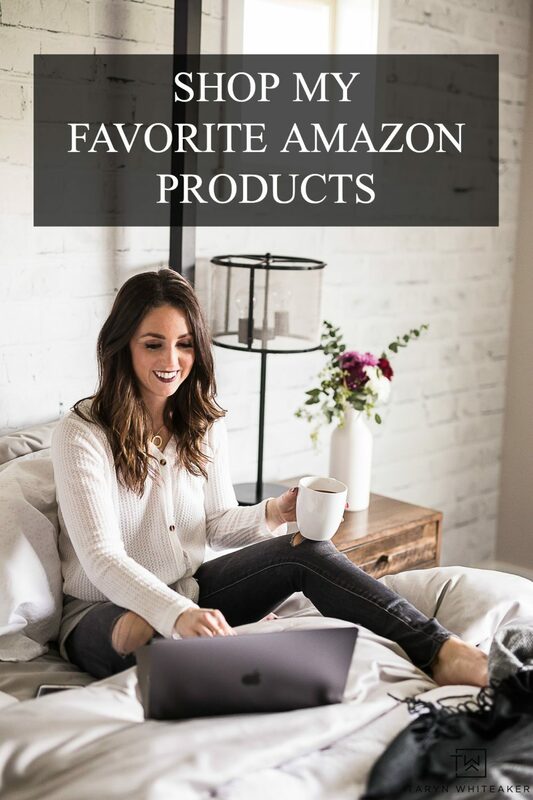 But I know you can find TONS of shops on Etsy who do! What is the size of the font? Love the sign!! so cute!! Thanks! I believe they are about 4″ tall. I’m about to make the sign, so I just want to be sure. Are they actually 4 inches tall? They look a lot bigger than that in the picture. I am clueless when it comes to cutting out Vinyl. Thanks so much!